Vermont baseball nerds, rejoice! This weekend, the Vermont chapter of the Society for American Baseball Research (SABR) takes the field after a long rain delay, metaphorically speaking. The Gardner-Waterman (Vermont) SABR chapter holds its spring meeting at the Robert Miller Community and Recreation Center in Burlington this Sunday, April 22. The local SABR chapter was founded in the 1990s by noted local baseball historian Tom Simon and others. But according to current chair Clayton Trutor, the collective of baseball researchers, historians and statisticians had fallen dormant in recent years. Trutor is attempting to jumpstart the chapter and hopes to hold meetings at least twice per year. 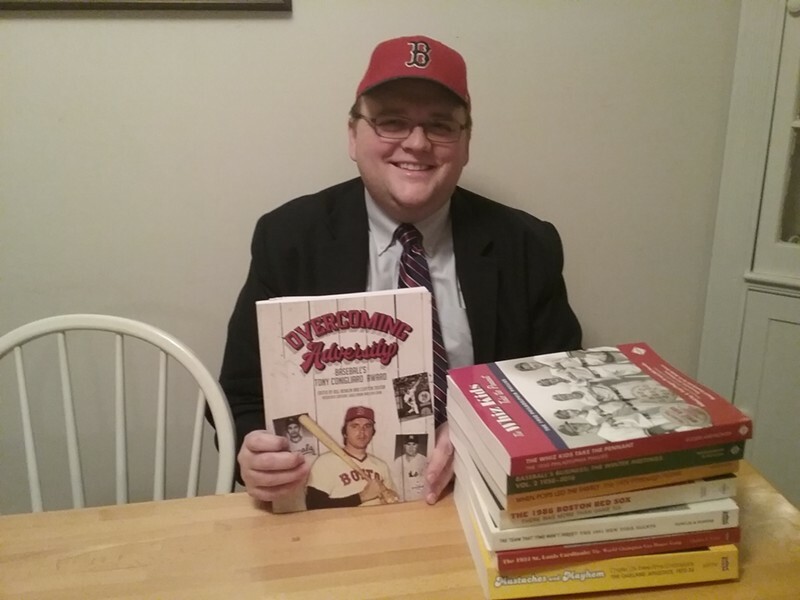 "It's an opportunity for members to present their research on the history of baseball and the statistics of the game," Trutor tells Seven Days. He adds: "There will also be a trivia contest." 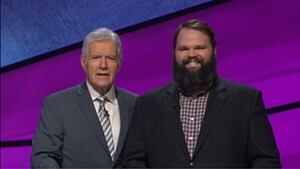 Clayton's brother, Jonathan Trutor, is a recent "Jeopardy!" champion and will host the trivia portion of the meeting on an undisclosed baseball-related theme. Keeping with the family vibe, their dad, Barry Trutor, will present on Major Leaguers buried in Vermont cemeteries. The elder Trutor is a member of the Vermont Old Cemetery Association. In addition to trivia and graves, local SABR members will present on a range of research topics. Castleton University professor Scott Roper will speak about the construction of Textile Field in Manchester, N.H., in the early 1900s. Rutland Herald reporter Tom Haley will talk about Vermonters who just missed making the major leagues. Chuck McGill will report on his research into minor league pitchers who threw no-hitters. And Clayton Trutor will speak about the history of baseball's Tony Conigliaro Award, an honor given by the Boston Red Sox to players who overcome great adversity. Trutor edited a 2017 book on the subject, Overcoming Adversity: Baseball's Tony Conigliaro Award. We recently spoke with Clayton Trutor by phone. SEVEN DAYS: Baseball research is a niche passion. Where does your interest stem from, and what's your specialty? CLAYTON TRUTOR: I've been a baseball fan since I was a little. And I was a history major in college. So, eventually, the two passions came together. 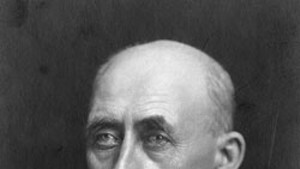 For SABR, I contribute primarily to what's called the SABR Biography Project. It's an organization within the broader organization that aspires to write a full-length, peer-reviewed biography of all the players who have played in the Major Leagues. We've written about 4,500 and I've done about 15 or 20 myself. SD: Do you have a favorite player you've written about? CT: I tend to like the guys who were fringe, cup-of-coffee types. 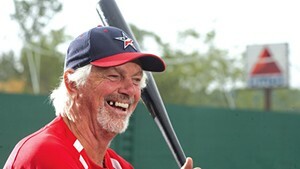 I did a guy named Al Gettle, who played in 48 Major League games. He was a pitcher for the Giants, but ended up becoming a B-movie actor. He worked with MGM in very minor roles. So, he'd be credited with things like "Man who got punched and fell through window." I'm particularly interested in these guys who had very brief Major League careers but had an interesting life outside of baseball. Because every one of these 15,000 guys has done something extraordinary. Millions of people have played baseball, and very few have the opportunity to perform at the highest professional level. SD: So you're a fan of the "Moonlight" Graham types. SD: Most local baseball fans know that the great Red Sox catcher Carlton Fisk was technically born in Vermont, though he really lived just over the border in New Hampshire. We still get to claim him though, right? CT: Absolutely! He was born on this side of the river. He's ours. I claim anyone we have even a small claim to — anyone who played for the Vermont Reds or the Vermont Mariners. So Ken Griffey Jr. is ours, Chris Sabo, Eric Davis, all these guys who played minor league ball here, they're ours. Robin Roberts, who played in the Northern League in the 1940s and is a Hall of Famer, he's ours. CT: Absolutely. All of the Vermont Expos count. SD: Are you a Sox fan? CT: I'm a lifelong Red Sox fan. 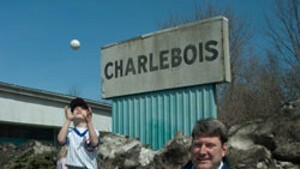 I followed the Montréal Expos closely, as well. We used to go up to Montréal for games a few times per year. SD: So, the Sox just faced rookie sensation Shohei Otani, the first legitimate two-way player [pitcher and designated hitter] in a long time. He's popularly called the "Japanese Babe Ruth." But is the Great Bambino really the most accurate historical comparison? CT: I actually think that's a fair comparison. It's a such a unique thing he's doing and I wish him well in pursuit of it. And even if he doesn't succeed, it's such an ambitious pursuit. So, I honestly think it's a reasonable comparison, because if you aspire to great things like Ruth achieved, there's a certain acclaim that affords. The Red Sox certainly put it to him last night. But I'm rooting for him.